He was the co-founder (with Glenn Tilbrook) and lyricist for the British pop/new-wave band Squeeze. This is his third solo album. His lyrics tend to be stories about everyday events and people, sometimes deviating to topics that most writers wouldn’t want to touch (example: “Reverso” is about vasectomy). 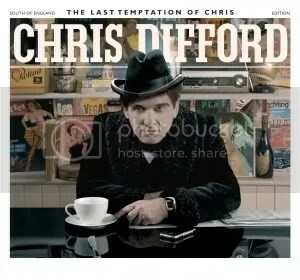 The songs are all very good and if you listen to the lyrics, you will enjoy the little slices of life that Mr. Difford presents to us. This entry was posted on October 21, 2008 at 12:00 pm and filed under TheSlacker. You can follow any responses to this entry through the RSS feed.